As U.S. equities stuck within range near record highs over January, investors picked up overseas market and investment-grade corporate debt related exchange traded funds. 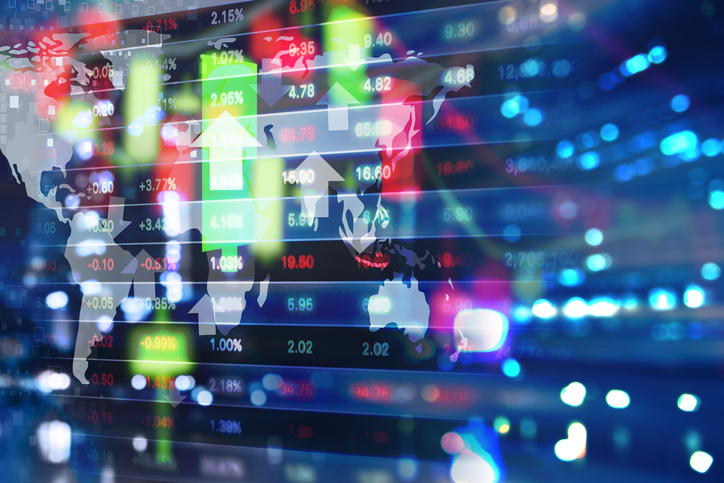 Among the most popular ETF plays in January, the iShares Core MSCI Emerging Markets ETF (NYSEArca: IEMG) attracted $1.8 billion in net inflows, iShares Core MSCI EAFE ETF (NYSEArca: IEFA) saw $1.7 billion in inflows and Vanguard FTSE Emerging Markets ETF (NYSEArca: VWO) added $1.2 billion, according to XTF data. The inflows into overseas market exposure suggest that investors are growing weary of the bullish run in U.S. equities that have pushed valuations to loftier heights. Consequently, some may be seeking out areas of more attractive valuations, like overseas developed markets in among the EAFE – European, Australasia and Far East countries – and emerging markets. The MSCI All Country World Index ex US shows a 14.5 price-to-earnings ratio and a 1.5 price-to-book, and the MSCI Emerging Markets Index is trading at a 11.6 P/E and a 1.4 P/B, compared to the S&P 500’s 18.5 P/E and 2.8 P/B. The Vanguard Intermediate-Term Corporate Bond ETF (NYSEArca: VCIT) brought in $1.6 billion in net inflows, iShares iBoxx $ Investment Grade Corporate Bond ETF (NYESArca: LQD) experienced $1.4 billion in inflows and Vanguard Short-Term Bond ETF (NYSEArca: BSV) added $1.5 billion. Safe-haven demand for fixed-income assets returned in January as investors grew wary of the recent Trump-induced rally in equities that pushed stocks to record heights. Many waited on further clarification from President Donald Trump’s administration on policy changes to justify the heightened valuations. However, some of Trump’s actions or lack of clarity triggered some risk-off action. The SPDR Dow Jones Industrial Average ETF (NYSEArca: DIA) saw $1.7 billion in net inflows as the Dow made its record run, breaking above its 20,000 milestone for the first time in January.